Nintendo has tried once again to make the statement that there will be no Wii HD coming in 2010, despite rumours to the contrary. There has been talk that the next iteration of the console will be packing a Blu-ray player and will support up to 1080p, but Nintendo of America president Reggie Fils-Aime has stated this will not be the case. "Michael [Pachter] continues to be the only one who believes this is going to happen," Fils-Aime said. "I don't know how forcefully we can say that there is no Wii HD." 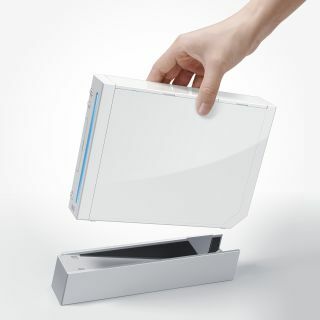 It seems likely that an updated version of the Wii, one of the best selling consoles, would be released in the near-ish future, as sales of the popular unit start to decline. And HD would appear to be the logical choice, as there's not a lot else to update - although knowing Nintendo it's probable that a Natal-beating option is next in line.